Hair color trends for 2019: get a new look! The new year brings with it many innovations, even in terms of hair trends: if you want to get a new look, this is the right time! Red carpets and catwalks have anticipated the hair fashion trends for 2019, amazing us with new haircuts and colors, all of which have something in common: being carefree and easy, for a woman who wants to freely express her personality. 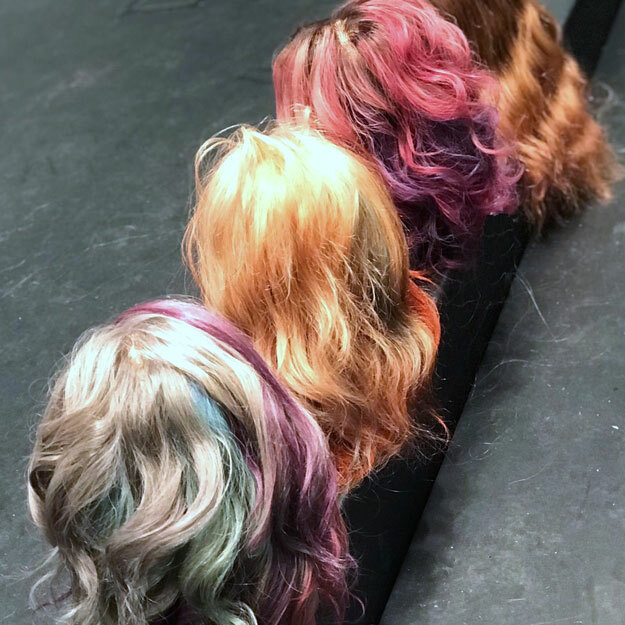 What are the hair color trends for 2019? Let's find out together! Raven-black hair is the great protagonist of the new year, in very bright and ultra glossy nuances, that are able to convey a young look to any face. This black nuance is enriched with violet or dark blue shades, which add movement to asymmetrical cuts. This indeed is not the classic black, but rather a hue that gives light to the face, and therefore it also suits lighter complexions. Hair stylists speak of “velvety black", which often goes well with ultra smooth hair, so bright as to be dubbed "glass hair”. The 2018 trend that plays with unconventional colors continues well into 2019: among all colors, pink stands out, chosen by the stars in all its nuances. Pink - be it coral, lilac, salmon - is trendy both on the entire hair, and applied only on the hair tips, adding a lively touch to any cut. This color is the protagonist also as a shade, and mixed with other hues it creates surprising results: this is how “rose brown” and “dark mauve” arise; we also have “strawberry blonde”, in its variants “rose gold” and “champagne rosé”: what unites these colors is a blonde color warmed up by pink hues, which makes the effect more natural and very easy to wear. Even in 2019, blonde hair remains a must: the platinum blonde that was in the spotlight in 2018 becomes an icy white which, although not suitable to everyone, gives a sophisticated look if applied wisely. This almost white "baby blonde" is enriched by light shades of light blue, pink and lilac. These shades in cold pastel colors are perfect for those who want to dare a new look through delicate nuances, avoiding a “shock” effect. When you want to change your look, and apply a new color, first you need to take into account the natural color of your hair: relying on a hairstylist is essential for advice on which shades to choose and to decide the most suitable coloring process for your type of hair, and if needed, to proceed to an initial discoloration that respects the hair fiber without damaging it. Also the coloring product must have a low ammonia content, and be rich in substances that nourish the hair fiber: PURE COLOR by Pura Kosmetica contains goji berries, along with extracts of carob, cherry and walnut woods that provide brightness, elasticity and softness. This creamy mixture creates a full, homogeneous and bright color, thanks to its pure pigments.